My adventure with brain fog hasn't cleared up yet. In fact, last night I was crying about it for a while. What I'd done was start preparing the church service for Sunday. Given that I'm a minister, that's not unusual. Except one of the lay preachers is doing this Sunday, so I didn't need to prepare anything on this week's readings. I only found out when I emailed musicians, readers, etc with their parts, and someone helpfully pointed out to me I was having the day off. I have a killer headache that just won't go away, which isn't helping the brain fog at all at the moment. I take panadol osteo three times a day anyway, so I'm a bit short of options for headache treatments. It's another thing to put on the list for the doctor. Do puzzles, read, things to keep my brain functioning. 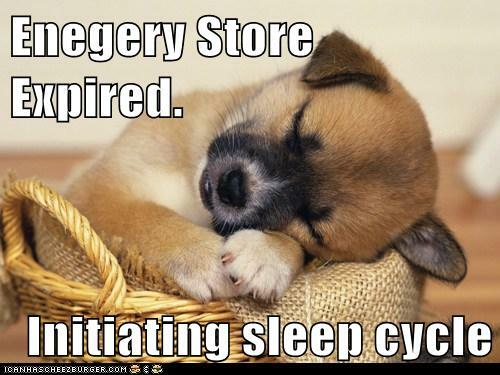 Sleep (even) more because being tired makes things worse. Try not to stress about the things I get wrong. Where possible, defer important decisions until my head clears. Coffee, to make me a little more alert for short bursts of time. Lots of people who have lupus experience brain fog at least some of the time. We all have our own ways to cope. 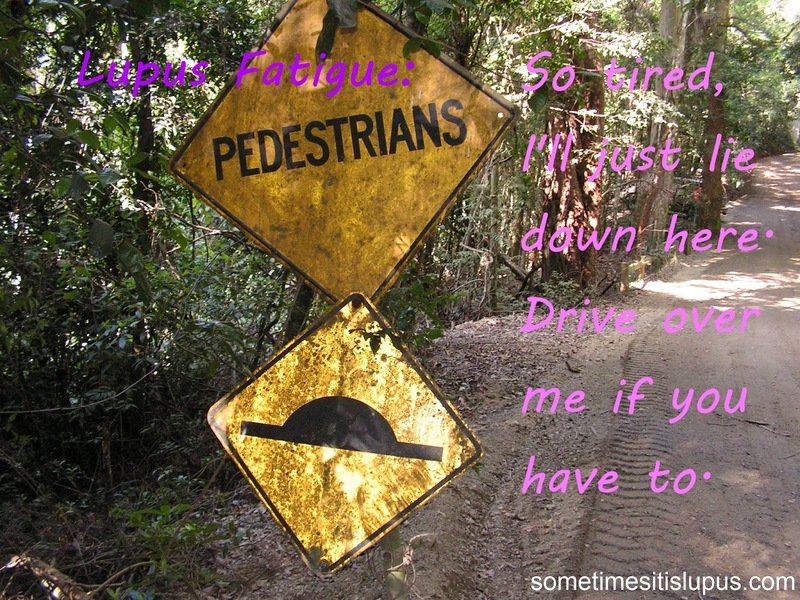 For me, brain fog, is very frightening. I've become used to being unable to count on my body. It's still frustrating at times, but I've accepted that's just how things are. Being unable to rely on my brain, that scares me. 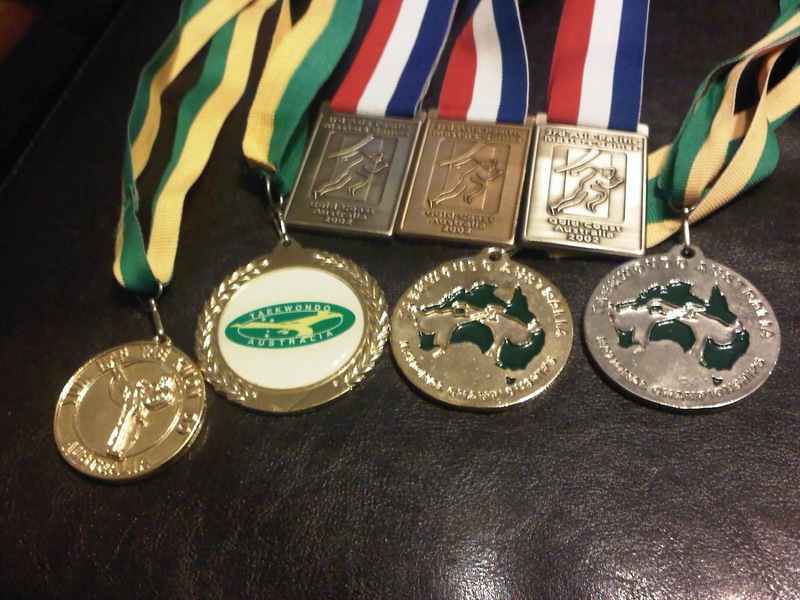 Well, I didn't watch the Olympics, and I'm not going to watch the Paralympics either. I'm sure it's all very inspirational stuff, with people overcoming their disabilities to do things I wish my body could do. 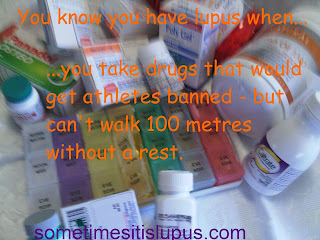 Can I propose a variation on the olympic theme for people with lupus? The first rule would be that anyone who managed to get out of bed and turn up for an event should immediately qualify for a gold medal. Events would include some that require real skill - like pill sorting, some that take endurance like marathon napping, some that require endless patience like waiting for the appointment with the rheumatologist. 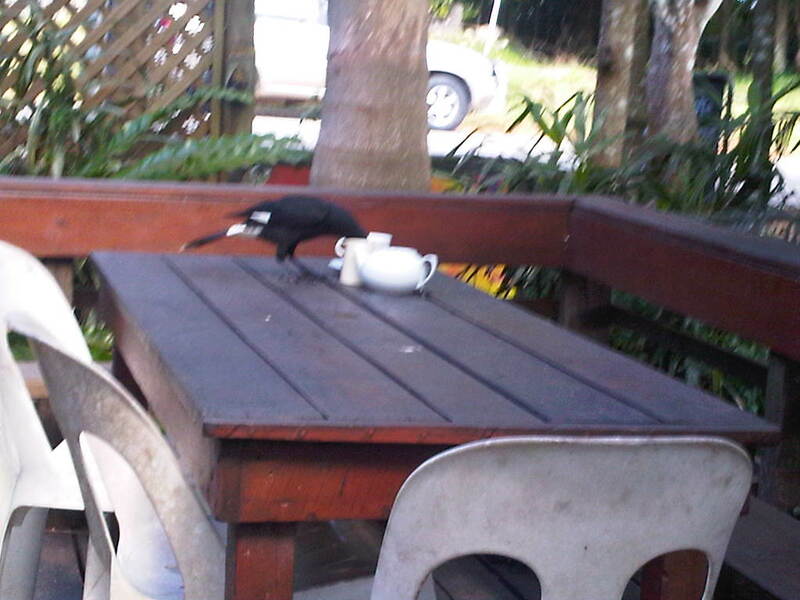 I think I could also do quite well at a coffee-drinking event. I hadn't realised it until today, but I live a fairytale life. The fairytale is Sleeping Beauty, not the Disney version, but the original where the woman slept for a hundred years. Someone else pointed this out to me today, when they texted about lunchtime, and I said I'd only just woken up, but was tired and would be going back to bed. That's what the fatigue of lupus is like - it really does feel like I could sleep for years and years and years. In the fairytale, an evil fairy did this to the girl because she wasn't invited to the princess' christening. 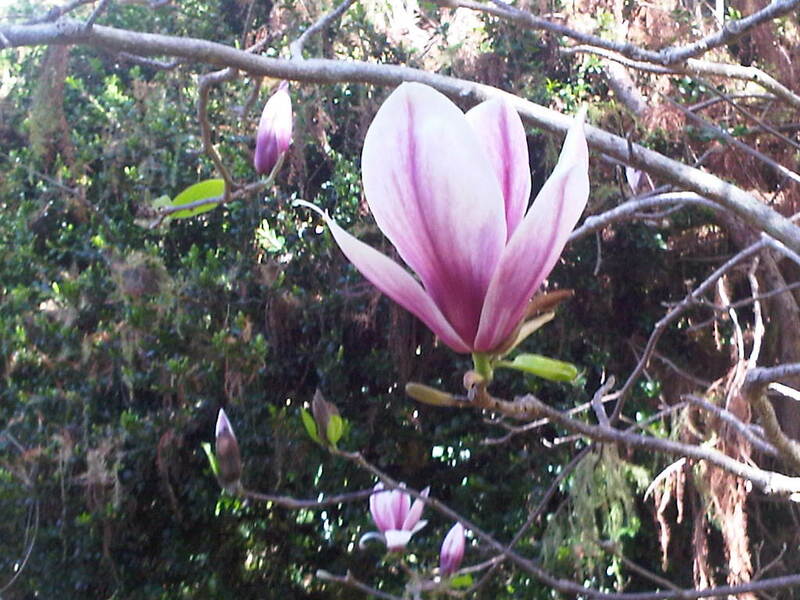 I don't know that anyone offended any evil fairies when I was a baby - but who knows? In the meantime, I'm going back to bed. And to the other lupies out there, watch out for poisoned apples, and evil fairies with a grudge. Oh, and if you find you're sharing a house with a group of short people - they're probably your kids, and they'll want you to find the energy to feed them and do the cleaning. There's nothing like classic Aussie rock. What's been going through my head this afternoon, as I was contemplating getting up from my nap was the chorus the Mental As Anything song "The Nips are Getting Bigger". But in my mind, it wasn't "nips", but "naps". My afternoon naps have gone from about an hour to about two hours, and I still don't have any energy when I wake up. This never means anything good. The longer the naps, the more likely my lupus is starting to flare. I have fairly mild lupus, a flare mostly means that I have a few aches and pains, and need lots and lots of sleep. 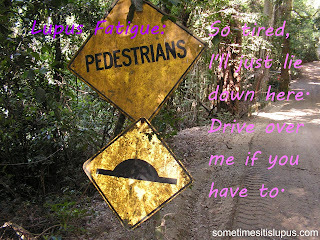 But it does make it difficult to do the basics of life, when I'm in pain, and too tired to get out of bed. 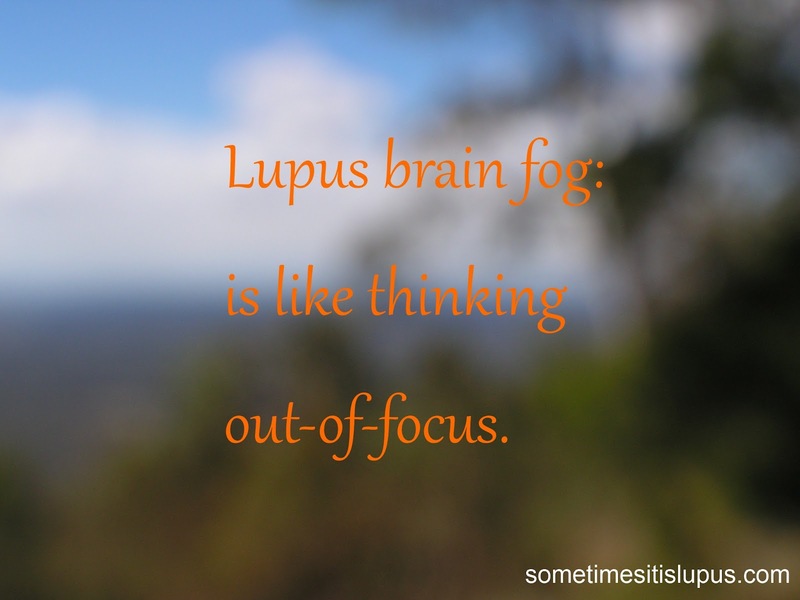 Most people with lupus suffer from brain fog at times. It's the most common neurological symptom of lupus. Our front door has two locks - one we use and all have keys to and one we don't use and none of us have keys to. I clicked the wrong lock before going to bed. My daughter came home at 1am from her waitressing shift and had to hit on my bedroom window to wake me up. I went to the supermarket for one item - and came out with a full trolley, but not the one thing I needed. I couldn't find a coffee mug - because I was looking for one in the fridge. I had out my breakfast bowl, and the dish I put peels and things in for the garden. I sliced a strawberry into compost dish, and dropped the calyx and stem onto my cereal. I drove to the local supermarket, when I meant to go in the opposite direction. I had to fill in a form, and didn't know my home phone number. OK Lupies, give me some feedback here. Who has a brain fog story to tell? On the television show House, doctors try to diagnose mysterious illnesses, and often when time is running out all other options have been exhausted, one of the characters will offer a diagnosis of last resort: lupus. But in oft-repeated words of main character Dr House, “It’s never lupus.” Or, with good cause, rarely ever. For readers not familiar with the show, Dr Gregory House is a cantankerousness but brilliant doctor who specialises in diagnostics. He works with, and plays mind games on, a team of other doctors. Episodes run to a similar formula – a patient presents with an unusual set of symptoms and the team must solve the case before it proves fatal. Occasionally, the those in the team run out of credible diagnoses and in their exasperation start to suggest more far-fetched conditions. Quite frequently, someone pipes up with “Maybe it’s lupus”. Generally, House will give them a scornful look and reply “It’s not lupus”. So why is it never lupus? Is it because its symptoms make it easily mistaken for other illnesses or the difficulty of making a diagnosis? 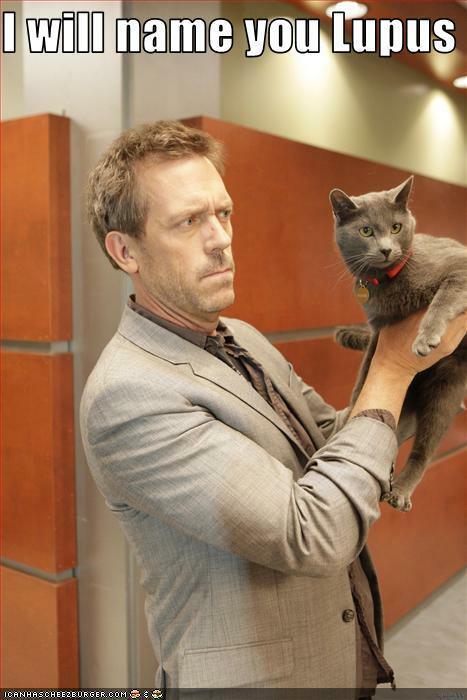 Yes and yes but surely this can’t stand in the way of Dr House’s abilities. 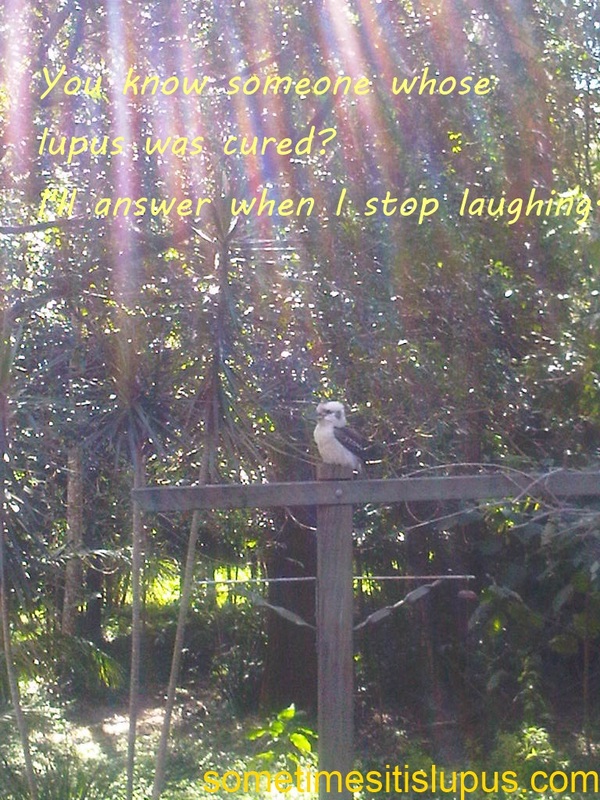 Maybe lupus is invoked because it doesn’t have the option of a miracle cure at the end of the episode. At any rate, the show’s authors will soon have to coin a new meme because there’s now a new treatment for lupus. Lupus, generically referred to as SLE for Systemic Lupus Erythematosus, is an autoimmune inflammatory disease affecting about five million people worldwide. An autoimmune illness is one in which the immune system attacks the body, destroying healthy tissues. In the case of lupus, any part of the body may be attacked. The irony of lupus is that the sufferer’s own “anti-sickness” system becomes the actual cause of illness. Lupus has numerous causes but affects mainly women (9 women for every man) during child-bearing years – usually between 20 and 40. Its prevalence is variable from one country to another, ranging from 15 to 50 cases for every 100 000 people. Lupus patients often suffer unpredictable bouts of the disease, called flares, followed by periods of remission. Of the two forms of lupus, the relatively benign and the more frequent one involves skin rashes – appearing mainly on the face and scalp – and joints, especially in the small joints of the hands and in the knees. The second more rare and severe form affects internal organs, most often harming kidneys, heart, lungs, blood vessels and the brain. SLE can be fatal, but its prognosis, which depends on the degree and nature of organ involvement – resulting in renal and vascular damage – has dramatically changed in the past 50 years. 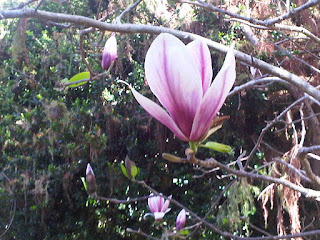 Indeed, the five-year survival rate, which was less than half the number of sufferers in 1955, is currently over 90%. However, the death rate among lupus patients remains four times higher than the general population of the same age. The two leading causes of death are kidney damage and infections in the first five years, and vascular damage and infectious complications after that. 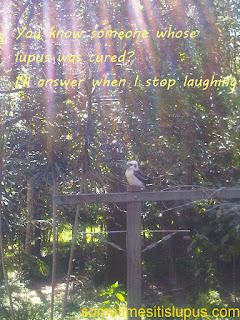 The most likely reason for lupus being used as a joke in House is because of the difficulty in delivering a diagnosis of the disease. Initial and chronic lupus symptoms mimic the symptoms of several other diseases, leading to misdiagnoses and making lupus extremely challenging to diagnose. As lupus symptoms vary widely and come and go unpredictably, diagnosis is usually based on detailed clinical examination and adapted laboratory tests. These latter include anti-dsDNA or anti-Sm antibodies, which are characteristic of and specific to the disease. Diagnosis at an early stage is particularly difficult because a number of general symptoms such as fatigue, weight loss, unexplained fever, may mislead the clinician. The non-specific nature of this disease, especially in its initial form, explains the delay in diagnosis. Over time, a variety of more specific symptoms will appear during flares involving various organs simultaneously or successively. After several years of evolution within a body, all organs may be affected. Treatment options are as varied as the multiplicity of clinical forms because each requires a tailored treatment strategy. Fundamentally, treatment of SLE involves preventing flares and reducing their severity and duration when they occur; helping maintain normal function and; preventing serious complications. The short-term goal of treatment is to quickly control involvement of the nervous system and weighing up the risks of immunosuppressive therapy. In the long term, the aim is to define the minimum effective treatment to keep the disease in remission so the patient can have a better quality of life. But the management of lupus now benefits from a new treatment that is an improvement on the current fairly toxic medications. In March of this year, the U.S. Food and Drug Administration approved Belimumab as new treatment for lupus. This is the first treatment for the disease with proven efficacy in a large randomized trial. It is also the first new and effective treatment for it in 50 years. Prescriptions have to be limited to systemic lupus with autoantibodies, which is active despite the usual treatment, and displays a high level of activity. 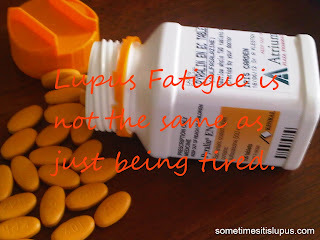 And now you also know why this elusive disease remains an option when all others seem exhausted and indeed, why it’s always important to consider whether it may, in fact, be lupus. Lupus is a chronic inflammatory systemic autoimmune disorder. It affects various tissues of the body, particularly the heart, joints, lungs, skin and kidneys. An autoimmune illness is one in which body’s immune system attacks the body itself, destroying healthy tissues. The cause of the disease is most likely multifactorial (involving environmental and genetic factors) but we still don’t know what it is. While there’s no specific treatment to cure lupus, symptoms can be treated and controlled. Generally, this condition results in substantial illness, death, disability, economic loss, and a significant negative effect on people’s self-reported quality of life. Incidence and prevalence are epidemiological terms used to described the frequency of a disease in a population. There are disparities in the incidence and prevalence of lupus and they vary with geography and ethnicity. Rates are higher among certain minorities, including African-Americans, African-Caribbeans, Hispanics, Asians, North American Indians and Indigenous Australians. Some studies show that the socioeconomic status of these populations doesn’t have an influence on disease prevalence. Indigenous Australians comprise Aboriginal and Torres Strait Islander populations. According to the 2006 Australian census, Indigenous Australians account for about 2.5% (517,000 people) of the total Australian population. Owing to its singular customs, traditions, legacies, socioeconomic and health characteristics, the Indigenous community stands out as a unique population. Indigenous Australians also live in poorer health conditions and have lower life expectancy and higher perinatal mortality. Lupus is more prevalent among Indigenous Australians, ranging from 52.6 to 92.8 cases for every 100,000 people. That means lupus is between two to four times more frequent in Indigenous Australians compared to other Australians (referring predominantly to European Caucasians), depending on the region of Australia. This prevalence figure is most likely an under-estimation as awareness and access to care remains an issue, particularly for people living in very remote areas. Indigenous Australians also suffer from a more severe form of lupus with higher mortality rates and premature death compared to non-Indigenous Australians. Strikingly, Indigenous Australians appear to have a different set of symptoms of lupus from what is observed in other Australians. They have less photosensitivity (which is an abnormal reaction of the skin to the sunlight), more renal involvement (which means that their kidney function is often affected) or more anti-Sm antibodies than other Australians. Anti-Sm antibodies is specific to lupus and indicates that the immune system is abnormally producing antibodies against the body. These singular characteristics vary in different Indigenous Australian communities. Higher mortality and morbidity rates in Indigenous Australians may be related to more severe lupus because of people not seeking medical attention until they are really ill, and poor compliance with therapy. But higher prevalence of the illness is intrinsic to this particular population. We don’t understand why Indigenous Australians are more likely to develop lupus compared to other Australians. These differences in lupus prevalence, severity and disease manifestation may reflect and be influenced by different genetic and environmental factors such as high ambient ultraviolet exposure and prevalence of infections, especially in tropical areas such as far north Queensland. 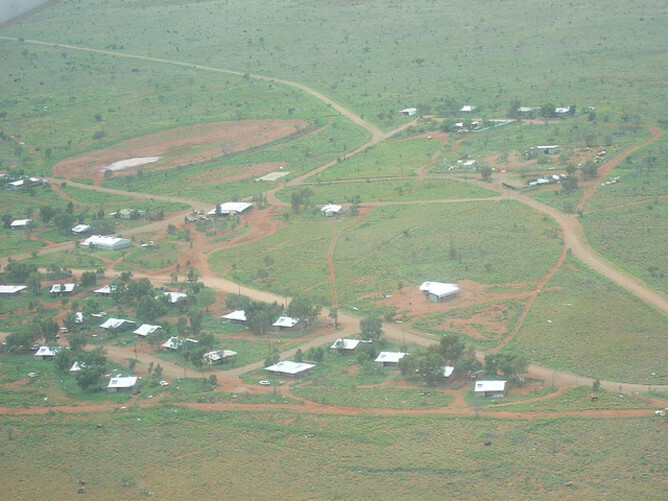 Skin infections, especially fungal and bacterial infection of insect bites, are very common and endemic health problems within Indigenous communities. Indigenous Australians are also at a higher risk of developing dental caries and periodontal disease. There’s a possibility that environmental factor(s) act as triggers of disease when combined with genetic factors, such as an autoimmune predisposition or susceptibility in Indigenous Australians. The higher rate of infection is probably the main environmental factor. It may lead to hyper stimulation of the immune system, especially innate immunity which, when overstimulated, may corrupt normal immune responses and trigger aberrant pathological and destructive inflammatory responses characteristic of lupus. Considering the genetic-environmental interactions (and not just genetic background), may lead to better knowledge of the underlying causes of lupus in this population group. It may also improve the health status of Indigenous Australians and close the health gap between Indigenous and non-Indigenous lupus sufferers. Fabien Vincent does not work for, consult to, own shares in or receive funding from any company or organisation that would benefit from this article, and has no relevant affiliations. 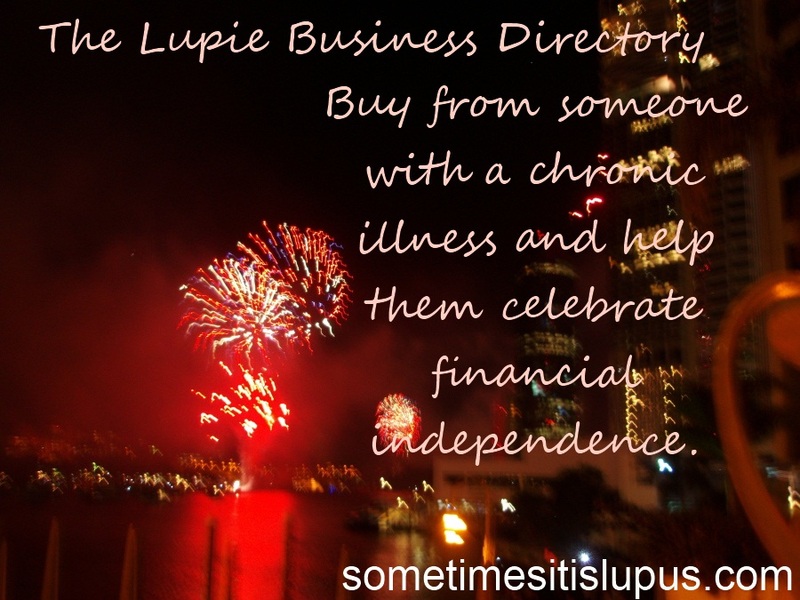 Have you clicked on the Lupie Business Directory lately? There's some quite interesting products available from the businesses listed. In the past couple of days, there have been two new listings added. Levity Lane is owned by Kerri Bryson. She makes environmentally friendly, bamboo fabric breast feeding covers. They are UV protectant, for feeding bub out-doors and look discrete and comfortable for both mum and baby. I wish there'd been something like this on the market about 21 years ago, when I was a young, shy, mum with my first newborn. If you're looking for a gift for a new mother - this would be a fantastic option. Scentsy Consultant Ashley Bealer has products to make your entire house smell beautiful. She's on Facebook as well as the Sentsy webpage. Here's the current lupus designs at the Shirt Shop. Well, all I've done today so far is eat breakfast and notice all the things I have to do. 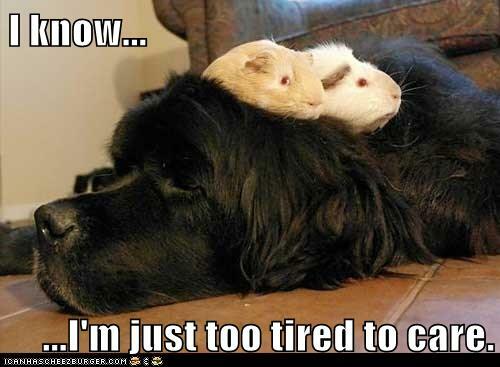 I'm exhausted. My ankles are already killing me, and I've barely stood up. I've likened lupus fatigue to being like an ordinary person doing a marathon without training. 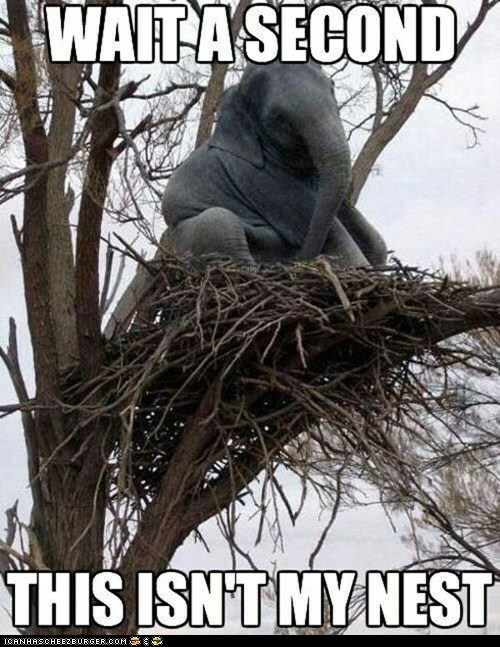 That's how I feel - and I haven't done anything at all. In fact, I had a good night's sleep. There's only one thing to do. Go back to bed. Hopefully, when I wake up again, I'll have the energy to do some of the actual work that's been building up all week. 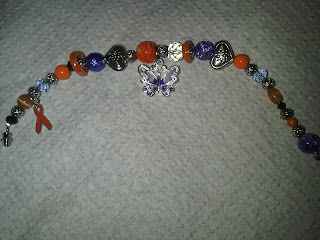 made by Annie at Bracelets, Beads and Bling. Have you ever thought it might be good for people with chronic illnesses to support each other? I've been hoping to find ways to do that too. That's why you'll find the Lupus Links and Lupie Business pages on this site. Another way to help each other is through the Lupie Business page. This is actually opened up more widely than just people with lupus, to people with any chronic illness. Lots of people with chronic illnesses may be unable to manage a full-time job, but have taken advantage of the internet to make hobbies into small businesses. 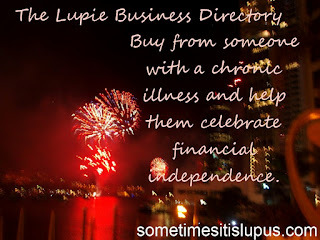 The Lupie Business page lists businesses owned/run by people with chronic illnesses. They design clothing, make jewellery, do paintings and prints, write books and sell beauty products. If you were thinking of buying any of these things anyway, it's worth looking at what other people with chronic illnesses are selling. I'm not suggesting buying just for the sake of buying - but if you were buying anyway, why not at least consider something that will help someone with a chronic illness? 2. That the two pages keep growing with interesting content - for that, I need people to send me links. My email address is iris@sometimesitislupus.com and I'd love to hear about any lupus sites/blogs to add to the Lupus Links page, or about businesses owned/run by people with chronic illnesses to add to the Lupie Business directory page. I'm not selling advertising here - just putting the links up with the aim of helping out other people in a similar situation to myself. It won't cost you anything to send me your link. 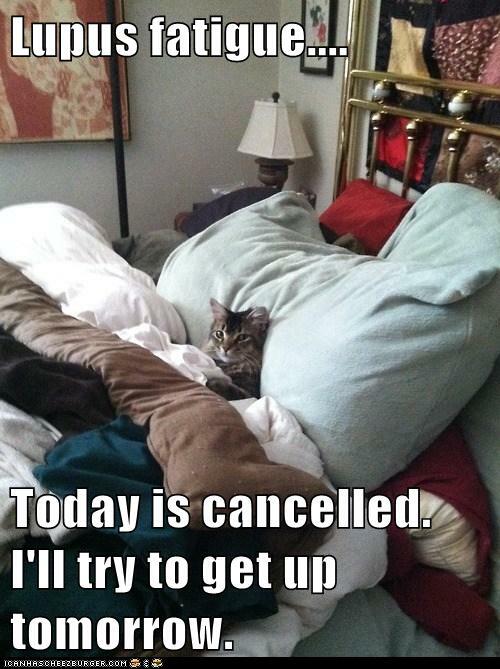 Having spent yesterday in "recovery mode", lying immobile on the couch, I'm starting to feel human again today. That's good, because I have a long list of things to do for home and work, and it is going to take a long time to catch up. Two days out, in consecutive weeks, was very exciting, and lots of fun, but not something I should make a habit of doing! It's all a matter of the budget. That's not just the financial budget (although I've always got to watch that), but also of my energy budget. The energy I use going out is energy I then don't have available for such necessary activities as sweeping the floor and paying the bills. Today, I'll do a few odd jobs, and hopefully get to hydrotherapy, slowly build up to what passes for "normal" for me. We stopped at a tea house for lunch, and stopped at a couple of lookouts on the way. My friend recently brought a four-wheel-drive vehicle and is enjoying using it. Today, I'm tired, and my ankles are sore. But it was worth it. 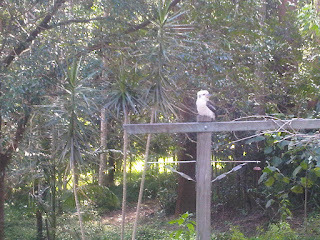 To spend some time with a friend, enjoying God's creation, and pottering around at my pace, was just great. So having had such a thoroughly wonderful day, I thought I'd share some of my fantastic photos. 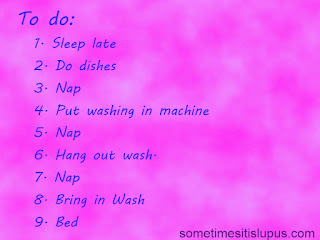 Well, you saw my "to do" list yesterday. Would it surprise you to know, I didn't actually get it finished? Yesterday's washing is still out on the line. Perhaps I should have been less ambitious and just used the dryer. It was such a dry, windy day, I figured it would all dry faster on the line than in the dryer. What I didn't take into account was the extra energy it takes for me to hang things out and bring them in again. Here's another energy balance to consider - the financial and environmental cost of using electricity - when I could be using my own precious personal energy. If I'm not well, it's an easy choice - use the electricity and save myself everything possible. On days like yesterday, when I really did feel well, it seemed to make sense to be that little more financially and environmentally responsible. Financial responsibility is important, because, let's face it between part-time work and part-pension, there really isn't any spare money. Environmental responsibility is even more important to me - my faith says this world belongs to God, and as such I need to respect it. It bothers me a lot when I use electricity for tasks I used to do without it. It bothers me that I now drive to places I used to be able to walk to. Burning up resources that can't be replaced and polluting the planet are a part of modern life - but I still like to keep my part in it to a minimum. 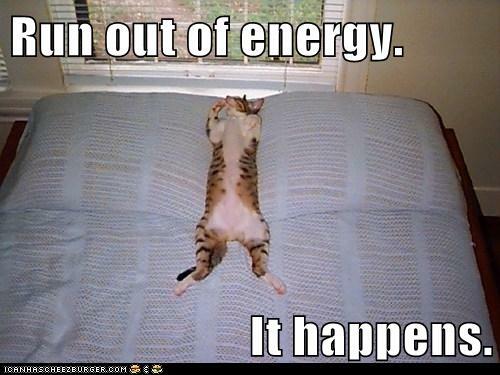 It's another kind of energy to factor in, when I'm planning out my energy budget. I'm having a much better day today, in fact I'm actually getting things done. After a day of not getting off the couch yesterday, this is fantastic. It's important, however, to remember not to do too much, just because I feel I can. Otherwise, if I overdo things, I'm going to pay for it for days. So, even though I'm feeling quite well, and I have a lot to get done, I'm going to intersperse all my household tasks with periods of rest. 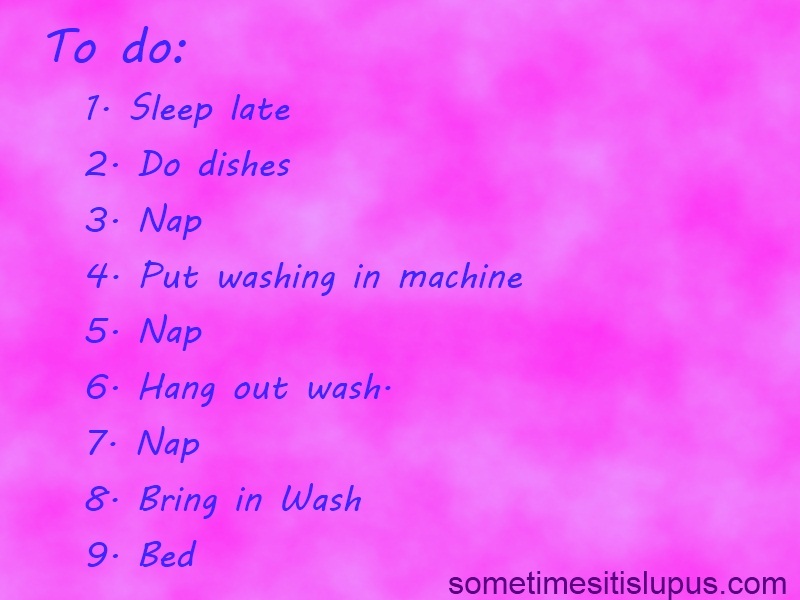 I've found I can actually get quite a bit done this way - more than if I tackle the housework head-one and just push myself until I'm too exhausted to keep going. to promote lupus awareness - so feel free to copy, post anywhere, share anywhere.